Kristen Boswell Coggin MD (MA’12) is the youngest partner at Cape Fear Neonatology Associates, a 44-bed NICU at Cape Fear Valley Medical Center in Fayetteville, NC. Within the field of neonatology, she is one of a few in North Carolina with any formal training in bioethics. Her MA in Bioethics makes her the “go to” person when ethical dilemmas arise, an “expert” status that urges her to continually advance her knowledge in bioethics. Such “expert” status is fun and exciting, yet the intersection of neonatology and bioethics offers many challenges. While some may turn the other way, Kristen walks directly into the ambiguous intersection, the precise place in which she had hoped to land. Kristen has long had an interest in ethics and a desire to unite ethics with her profession. Growing up in eastern North Carolina she received her undergraduate and medical degrees from East Carolina University, a school that embraces ethics education and makes bioethics an integral part of its curriculum. At East Carolina University, Kristen was first introduced to Dr. John Moskop. Dr. Moskop played a fundamental role in furthering Kristen’s interest in ethics and challenging her to stand in the intersection of neonatology and bioethics. After completing her pediatric residency at the University of North Carolina at Chapel Hill, Kristen wanted to delve further into the depths of bioethics and continue her studies with Dr. Moskop, who was now teaching in the Bioethics Master’s program at Wake Forest. Because of her degree from Wake Forest University, Kristen feels better equipped when she finds herself in the exciting, yet challenging, role as “expert.” Kristen anticipates that advances in technology will increase the frequency of bioethical dilemmas in neonatology and that undoubtedly more questions of justice will arise. As doctors are forced to consider whether something should be done simply because it can be done, Kristen hopes to stand alongside her peers and “be a leader – both in the asking and answering of such questions.” Kristen believes that her background in bioethics will continue to provide a solid foundation as she stands in the intersection of bioethics and neonatology and makes the bioethical aspects of her work a priority in the provision of patient care. 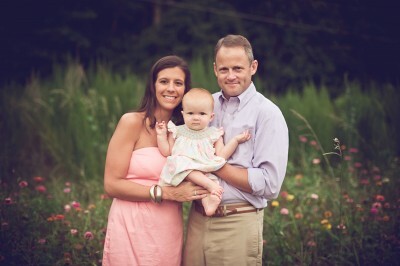 Kristen resides in Fayetteville, NC with her husband Myers and daughter.